1) What would make tonight a good, good night? 2) In the song, he sings that he's got money and wants to "spend it up." How much cash is in your wallet right now? 3) The lyrics include "mazel tov," which means good luck or congratulations. What other Hebrew/Yiddish phrases do you know? 4) The colorfully named Black Eyed Peas include Fergie (born Stacey Ferguson) and will.i.am (William Adams) and Taboo (Jaime Gomez). If you could choose a stage name, what would it be? 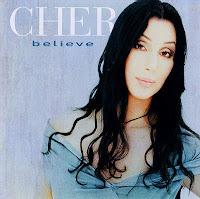 5) This song was crazy popular in Canada, debuting at #2 on the charts. Have you ever visited our neighbor to the north? 6) When's the last time you laughed really hard? 7) Who received the last text you sent? 8) Which sounds like more fun -- skiing or skating? 9) Thinking of sports, are you looking forward to The Super Bowl? 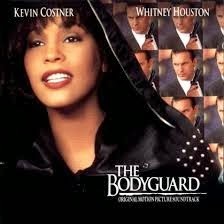 1) The Bodyguard is the best-selling movie soundtrack ever and this is the song most often associated with Whitney Houston. Is it on your iPod/mp3 player? 2) In the movie, Rachel (Whitney) sings "I Will Always Love You" after she realizes she can never see Frank (Kevin Costner) again. What song reminds you of a past love? 3) Despite the movie's and the song's overwhelming popularity, Whitney Houston was awarded a Razzie Award as the worst actress of 1992. What's the most recent criticism you received? 4) On the bright side, share the last compliment you received. 6) When this song was popular, cell phones were uncommon and Facebook was unheard of. Which has had a bigger impact on your life -- smart phones or social networking? 7) Whitney's marriage to Bobby Brown left many people shaking their heads. Whitney and Bobby's daughter recently married the young man who was raised as her brother. Have you ever been in a relationship your friends/family didn't approve of? 8) Whitney Houston's grave marker reads, "I Will Always Love You," so obviously her family is very proud of the success of this recording. How would you like to be remembered? 9) Whitney was born in Newark, the largest city in New Jersey. It's a major air, rail and shipping hub, and it's in the Eastern Time zone. Have you ever been to Newark ... or any town in New Jersey? 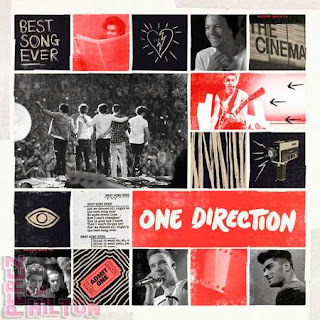 1) Dancing all night to the best song ever would be good for the cardiovascular system. When is the last time you exercised? 2) The girl in this song is the daughter of a dentist. "Dentophobia" is fear of dentists. How do you feel about going to the dentist? 3) One Direction performed this on Good Morning, America. Do you watch morning TV? If so, which show? 4) Listening to upbeat pop songs like this one makes Sam feel young. When is the last time you participated in an activity commonly connected to childen (like swinging on a swing, drinking chocolate milk, playing a board game, etc.)? 5) One of the boys, Louis Tomlinson, was an actor before joining the band. How many different professions have you tried? What were they? 6) The fans that have made One Direction millionaires are also the target audience for series like The Hunger Games, Harry Potter and Wimpy Kid. Do you read Young Adult literature? 7) If this is the "best song ever," what song do you consider the worst? Tell us which song just sets your teeth on edge. 8) One Direction performed at the Royal Variety Show for Queen Elizabeth. If you found yourself presented to Her Majesty, what would you say? 9) Right now, is your life moving in the right direction or are you feeling a bit aimless? 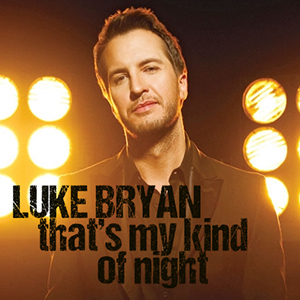 1) In this song, our hero offers to take his girl down to the river to catch a catfish dinner. What is your favorite seafood? 2) Luke Bryan went to Georgia State University, home of the Panthers. What was your school mascot? 3) Have you ever tried acupuncture? 4) Just last night, Crazy Sam threw away a jar of Miracle Whip because it expired in September 2013. Is your refrigerator neat and organized? Or is it a disaster area, like Sam's? 5) Which is more important to you -- saving time or saving money? 6) Sam's next door neighbor is named Jim. He's retired, smokes a pipe and drives a red Corolla. Tell us about one of your neighbors. 7) What's the most recent magazine you flipped through? 8) Could your vehicle use a trip to the car wash right now? Welcome to the first Saturday 9 of 2014!